After living in Southern California for 5 years, it was about time to gather up the crew and head South for a long weekend of exploring the beautiful city of San Diego to dig in and find out what hidden gems this eclectic and vibrant city had to reveal. One of the first things that struck me was how there is really something for everyone and no shortage of things to do in San Diego! If you’re looking for buzzing nightlife bars then the Gaslamp Quarter will receive you with open arms. If you want slower surf vibes and quaint cafés, head to Ocean Beach. For hipster corners and artistic feels, Northpark. 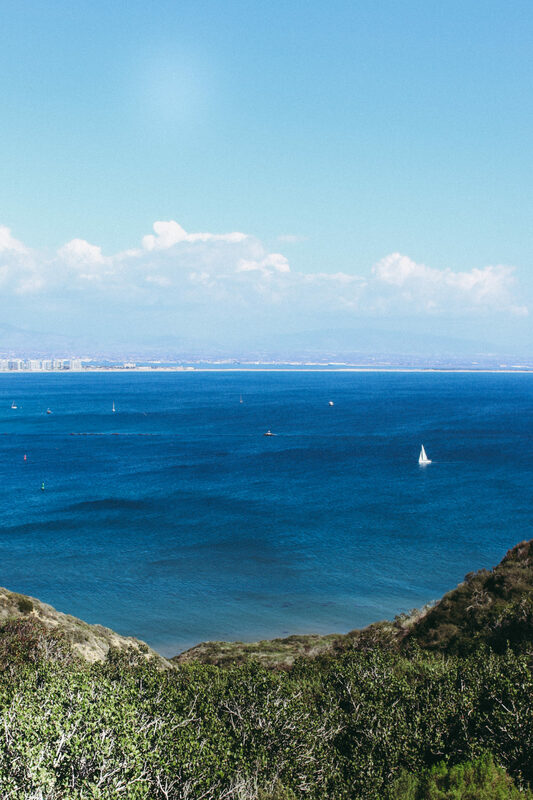 And for the best of hiking and nature, you can hit Point Loma, La Jolla and Torrey Pines among many more! The most refreshing part is everything is a stone’s throw away from each other, the food choices are culturally broad and delicious and it marries everything perfectly. 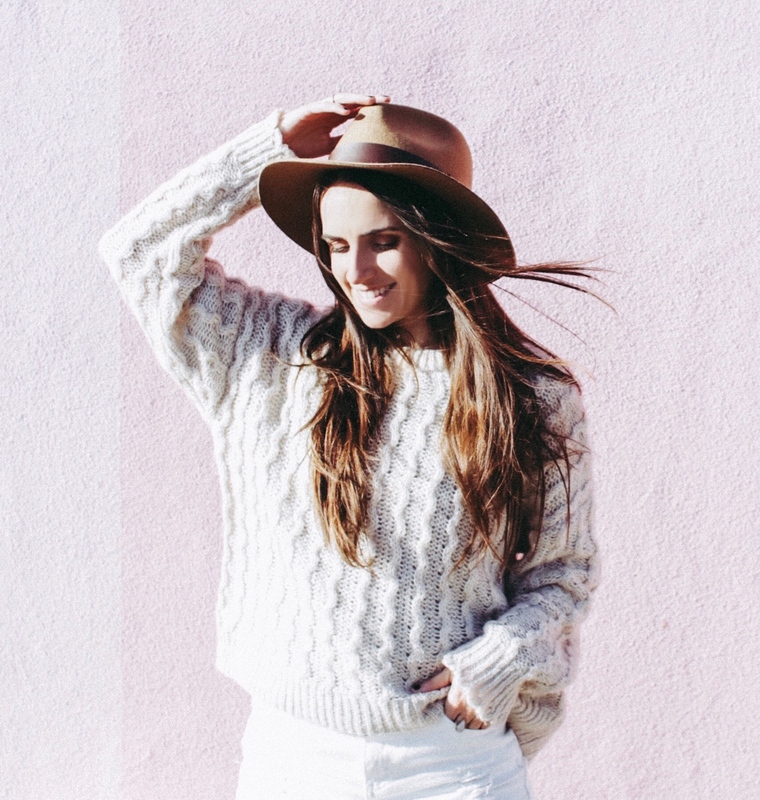 For a complete travel diary guide to San Diego and pretty pictures, read on! *This post is funded in part by City of San Diego Tourism Marketing District Assessment Funds. All thoughts and opinions are my own (read more here on this!). 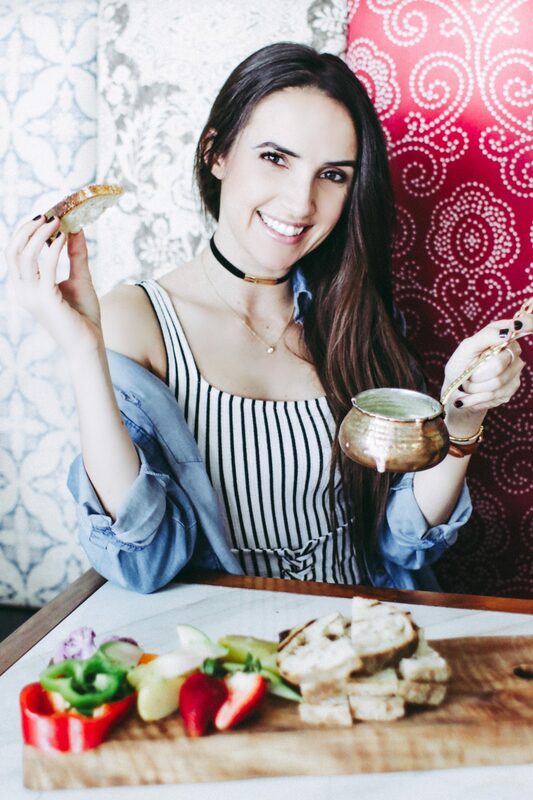 After arriving in San Diego, we headed straight for lunch in the Gaslamp Quarter to Café 21 – a rustic chic spot which serves up Middle Eastern food with a Californian spin! We had just missed Brunch hour (literally, we were 3 minutes late!) but we were not disappointed by the amazing Tapas selection they serve through the afternoon. All the ingredients were so fresh and locally sourced. This spot is known for its array of home-made and curated Sangria choices. You’ll find jars filled with fruit and veggies that are fermenting, waiting to be mixed into a delicious concoction, on the shelves that decorate this restaurant. 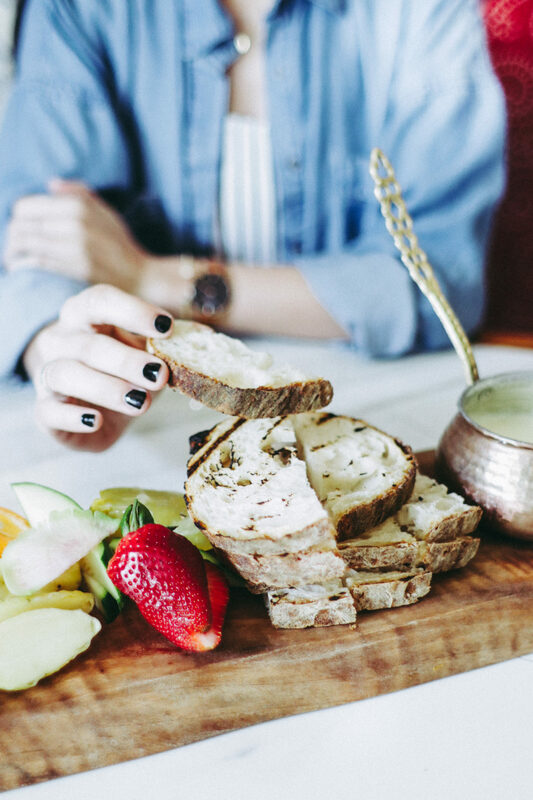 Our favorite Tapas choice was the Café 21 Fondue – a delectable melting pot of a 4 cheese blend for dipping into with fresh farmhouse bread and exotic fruits and veggies. 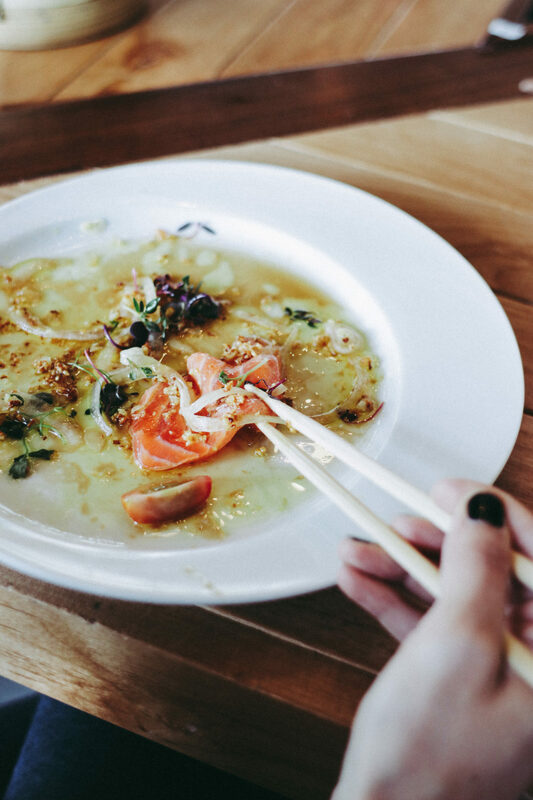 For more picks, try the earthy Beet Cured Salmon Sashimi (served with Taro Chips and Avocado) and the comforting Chicken Crepe Cake. 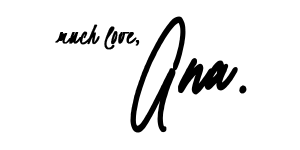 Check out their incredible menu here for more options! Post lunch, we were off to explore the urban San Diego East Village and the neighborhood of Barrio Logan, the core of San Diego’s rich Mexican-American culture. We headed to Chicano Park, an artistic landmark with massively beautiful murals under the towering Coronado Bridge. These works are creations by local artists who took to art to express their history, cultural progression, struggles and successes. Very interesting and humbling to learn about. As we headed back to catch some much needed R’n’R at our accommodation, we stopped by San Diego’s East Village to get our fill at the local high-style Japanese-Californian Ramen and Saké bar, Beshock. If you love tasty fusion food, then this spot will not disappoint. The service was excellent with little handwritten notes on our check and all! We ordered some simple sushi and a huge bowl of ramen. Needless to say, we slept really well and charged up for the next adventures. We woke up to a beautiful sunny morning and after getting ready, we made our way over to Spruce Street to check out the suspension bridge that crosses the cute little valley! It was a great surprise to see such an attraction ensconced in an otherwise unassuming semi-suburban upscale neighborhood. Stand in the middle of the narrow bridge walkway and rock your body gently from side to side to make the bridge sway. It’s a kind of don’t-dish-it-if-you-can’t-take-it scenario because lots of people get a big kick out of swaying it, so be prepared! It’s so much fun! Around noon we headed for brunch at Bread & Cie over in the Hillcrest neighborhood which is a vivacious mix of coffee shops, boutique stores and sidewalk patios. Bread & Cie have a mouth-watering selection of fresh baked rustic European bread (so yes, say no more I thought) and a wide and quality variety of food options. 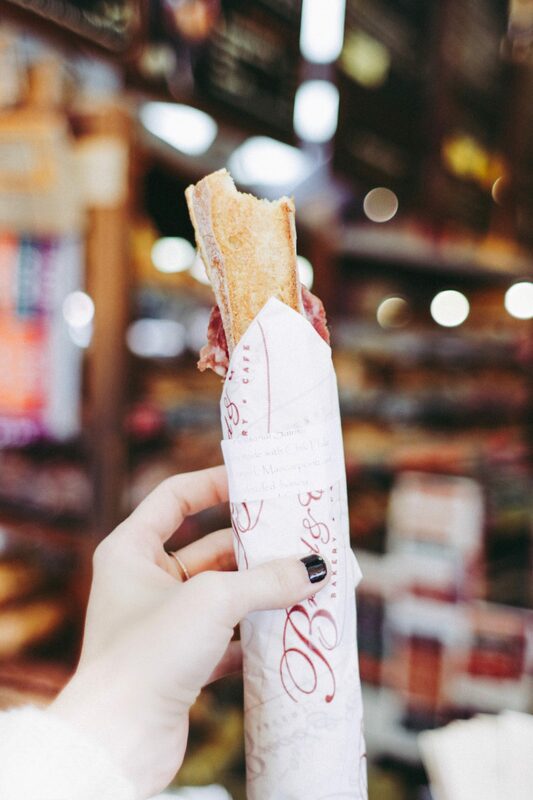 I couldn’t resist a locally made Artisinal Salumi (with mascarpone, fennel and drizzled with honey…) sandwich in a Ficelle Baguette and a selection of sweet goods! For dessert, we headed over to the trendy, artsy, hipster North Park neighborhood to a cute gourmet ice cream shop called Hammond’s Gourmet Ice Cream. This place serves up the special experience of a “flight” of mini ice creams on freshly baked mini cones. Needless to say, we arrived and ordered a flight of 6 because you only live once, right?! 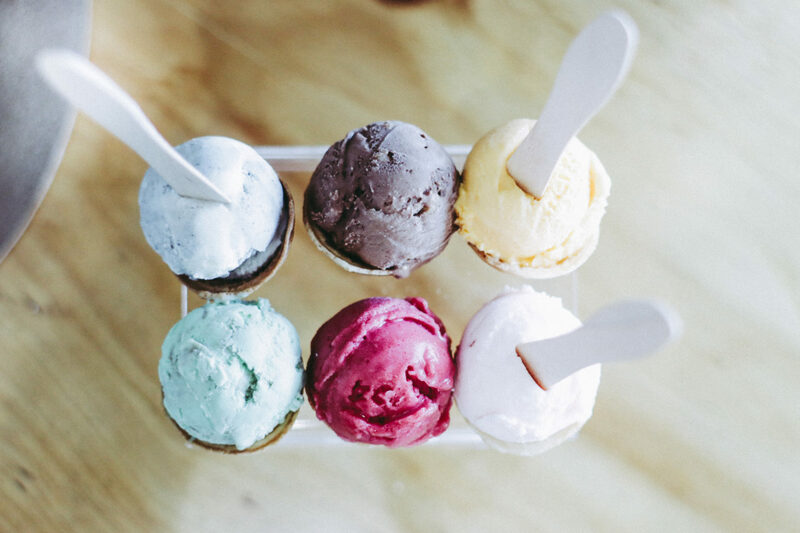 Flavors (clockwise from the top left): Yin & Yang White Chocolate and Black Sesame, Chocolate Coconut Macadamia Nut, Mango Cream, Lychee Cream, Raspberry Sorbet and Mint Fudge! More beautiful spots in North Park included Pigment, the most Instagram-ready store ever on the planet (think boho-chic, mini cacti, pastel postcards, hanging glass planters), Artelexia, where you can find Mexican handcrafted gifts, art and home decor and Figaro Dessert Café for a hot mint tea to digest all the ice cream! 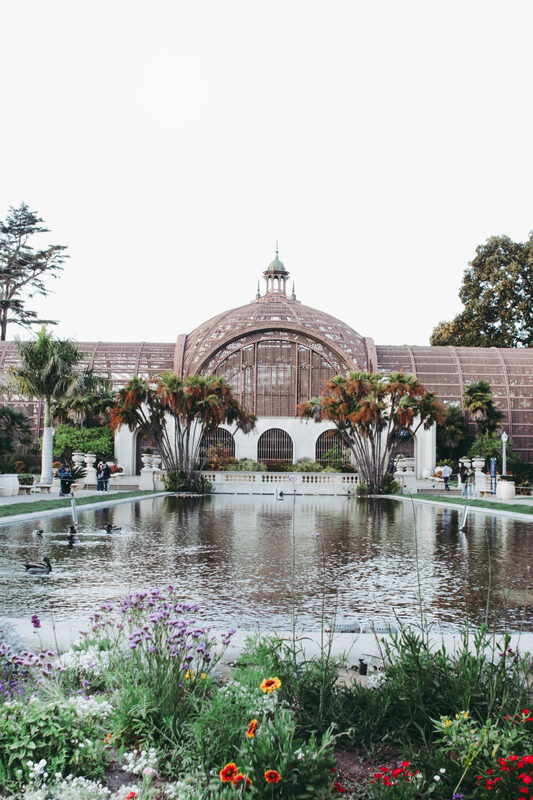 We decided to take a little detour on our way back towards downtown and headed over to Balboa Park which was every little bit as picturesque as all the photos we’d seen while skimming Instagram and Google. This display of rich San Diego history flows eloquently together as you wind through arches, past gorgeous water fountains, meander through the Japanese Friendship Garden (our favorite of all the gardens!) and pick your jaw up off the floor at the sight of the Spanish Colonial Revival architecture. 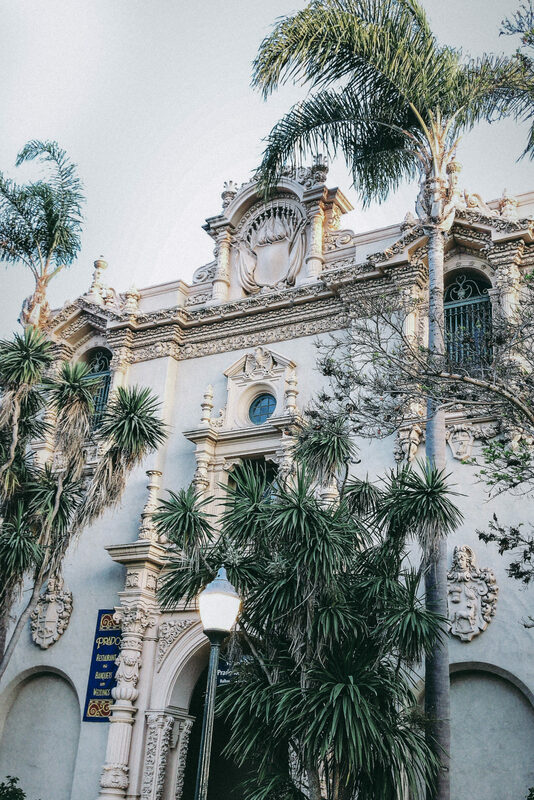 Not only is it perfect for picture-taking – think quaint and striking nooks and crannies – but you can explore so many cultural, natural and historical aspects of San Diego here. There are restaurants and cafés to enjoy which is a huge plus because, well, hello, food. I’d move in if they’d let me (just throwing that out there in case)! For dinner, we hit a tasty Mexican spot called Mariscos El Pulpo and what better area to explore the Mexican food scene than back to Barrio Logan? We ordered Fish Ceviche (omg, yum) which comes with a side of tortilla chips and the Mojo De Ajo Pulpo (sautéed octopus with garlic butter) tacos. I wish I had stuffed my face with more things on the menu but the generous portion sizes didn’t permit any more stuffing! We kicked off the morning strolling around from the Downtown area over to the quaint waterside area of Seaport Village where you can appreciate the vast views of the water and harbor. For lunch, we saved best for last and headed to a highly anticipated meal at the newly opened HaruMama Noodles and Buns restaurant. Our expectations for a fun-filled, absolutely d-e-l-i-c-i-o-u-s meal were more than exceeded. This place does everything well on the menu. 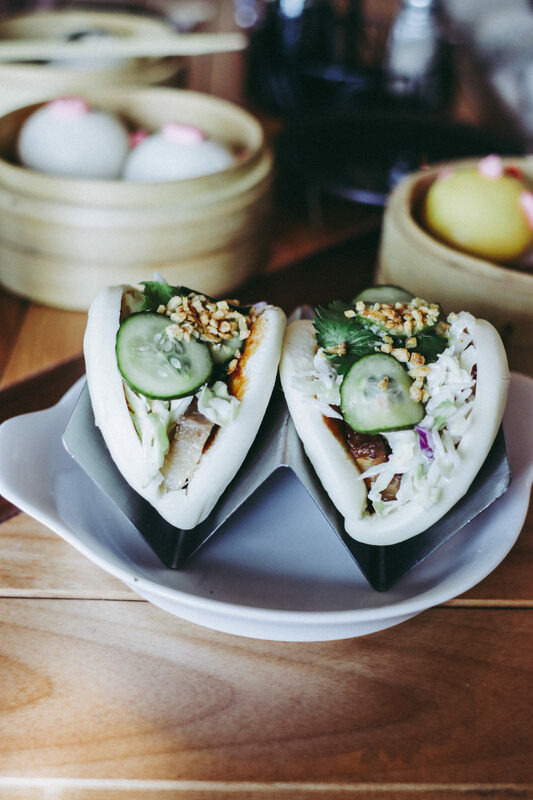 For a fun choice, be sure to order the steamed buns because they come as adorable characters! We went a little crazy and also devoured the Screaming Salmon sashimi plate, the seafood pan-fried noodles and the best (and I mean BEST) pork bao buns I have ever had. Really, I could happily eat there for the rest of the year and this restaurant is in my Top 5 favorite restaurants. After lunch, we took our stuffed bellies over to the gorgeous Cabrillo National Monument which lies at the very Southern tip of the Point Loma peninsula. This monument commemorates the first time a European expedition set foot on the West Coast of the United States (proud European over here)! 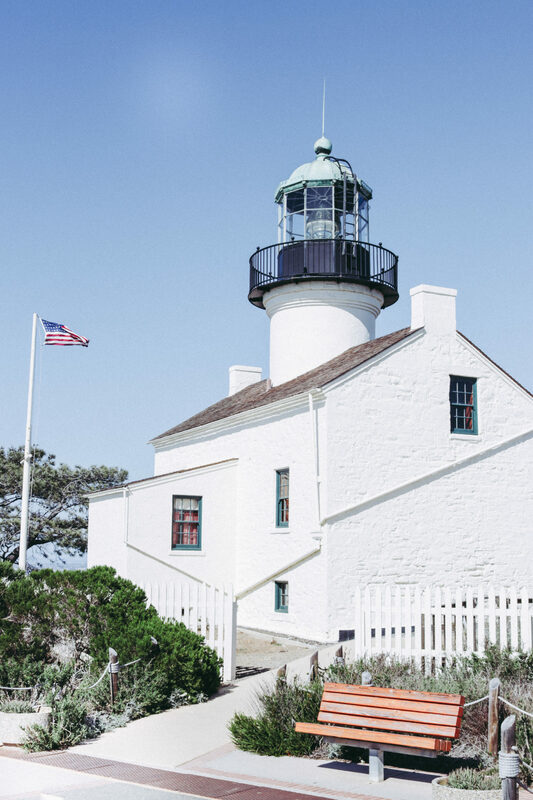 The surrounding area holds a wealth of historical, nautical and natural learning opportunities ranging from the Visitor Center, to appreciating the breathtaking panoramic views of San Diego harbor, hiking Bayside Trail along the water line and exploring the old lighthouse. Bring a jacket in case the wind picks up! 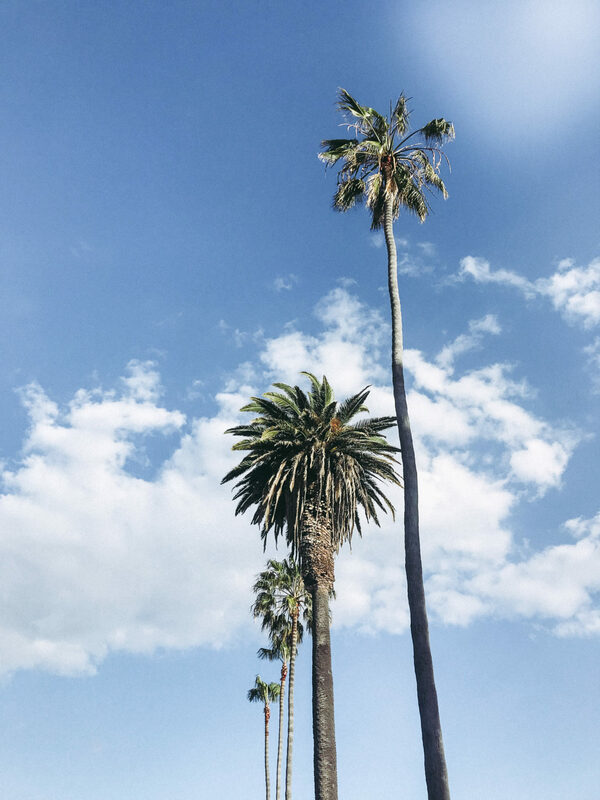 For our last evening in town, we decided to mosey on over to Ocean Beach – a laid-back, charming, palm-tree lined suburban surf spot – perfect for winding down. 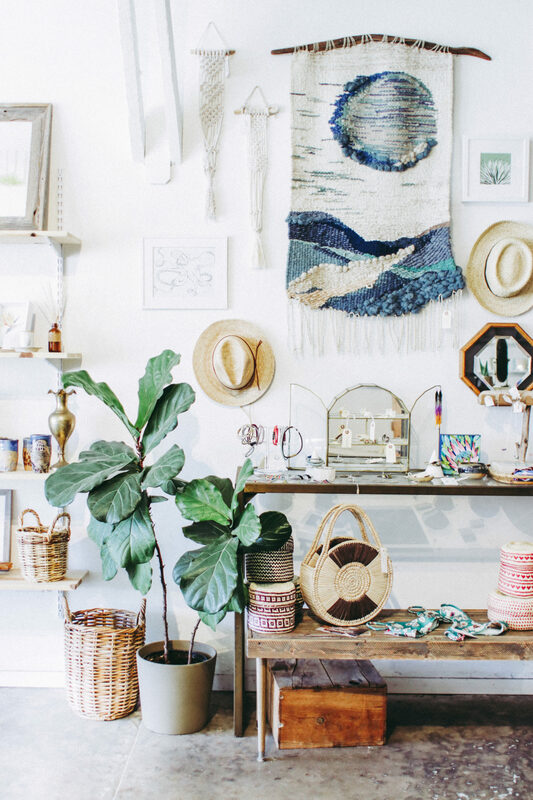 Our favorite spot was The Nest Coffee and Tea shop because of it’s organic, wholesome ingredients and the bright co-space it shares with a boho-chic fashion and home décor store, Current Collective. 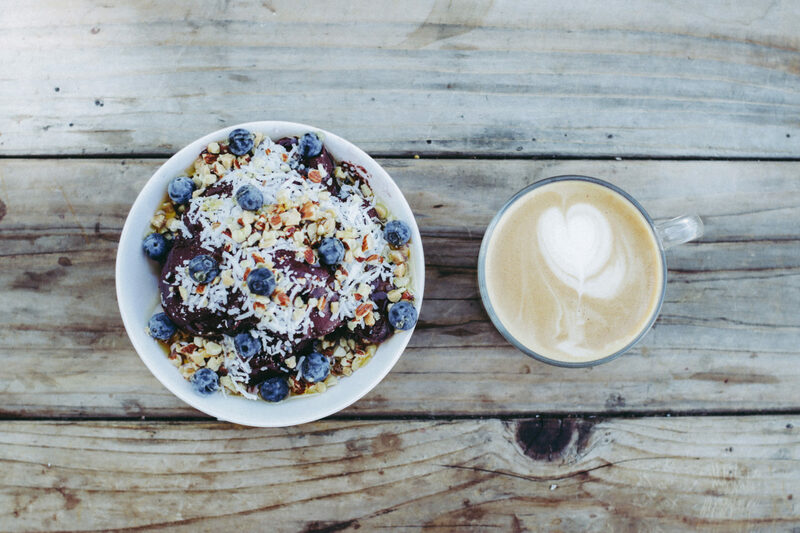 It only seemed fitting to order a honey-drizzled Açaí Bowl and a Latté to close out a wonderful getaway trip down to San Diego. 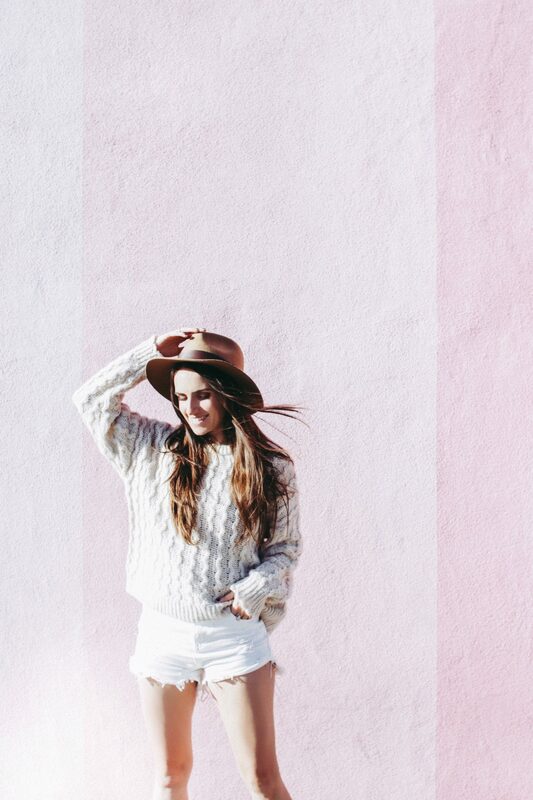 San Diego is the perfect size city – so easy to hop around and explore. The food was fantastic and extremely well priced. Parking in the city was a lot easier than I had imagined and traffic is so light that it makes it a joy to drive around and visit all the wonderful corners of the city and coast. I wish we had stayed longer to adventure more! We couldn’t leave without some souvenirs so we grabbed some fresh bread from Bread and Cie on our way home to bring to our friends (but we got hungry and ate one of the loaves in the car, oops). Be sure to keep this Travel Diary and Guide to San Diego pinned or bookmarked for your weekend getaways there! Let me know in the comments below if you have any more great spots and tips for travel and activities in San Diego! Bem bonito o post querida Ana. Ainda bem que foi uma óptima viagem. Quando tivermos na Califórnia para a próxima não vamos perder uma visita à San Diego. Muitos abraços. Obrigada Rita! És muito querida também! 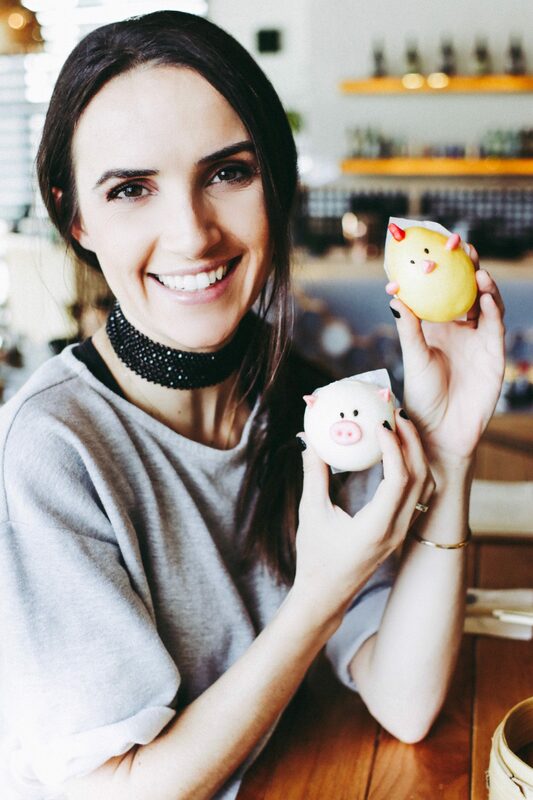 Beijinho grande! cute post, loved seeing all ur photos, so pretty! Lovely post! Makes me want to go now. But next time in California, I´m headed there! Lovely post.